Random House Books for Young Readers, 9780375866760, 369pp. Collected here for the first time are all of the tales from the land of Tortall, featuring both previously unknown characters as well as old friends. Filling some gaps of time and interest, these stories, some of which have been published before, will lead Tammy's fans, and new readers into one of the most intricately constructed worlds of modern fantasy. New York Times bestselling writer Tamora Pierce captured the imagination of readers more than 20 years ago with Alanna: The First Adventure. 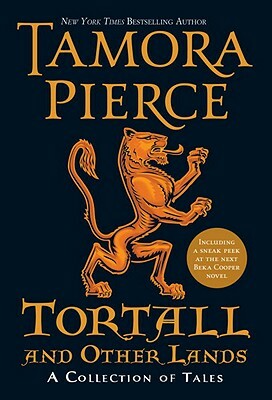 She has written 16 books about the extraordinary kingdom of Tortall, with another to come in fall 2011. She lives in upstate New York, with her husband and an assortment of wildlife.